If it hurts, you need help; preferably sooner rather than later. The last thing anyone wants to do is break a tooth. However, this is a problem that is now happening at record levels! 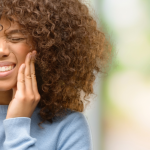 Cracked and fractured teeth are now the third leading cause of tooth loss in industrialized nations, according to a 2002 study. Dentistry’s final mystery–fracturing– is not well understood as a process. The dramatic change in dental education to focus on cosmetic dentistry has torn attention away from the fundamental and the integral. 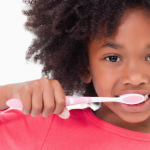 The importance of the health of the root tooth can’t be overestimated. So what needs to happen when you suspect a fracture? More importantly, how do you assess whether you require professional chipped tooth repair? Your tooth hurts when you eat, even though it looks fine. Your tooth hurts because of a change of temperature, such as when you drink something hot or cold. You experience pain when you release a bite, even if it doesn’t hurt to bite down. Not all broken or chipped teeth are the the same. In fact, they may show different symptom and can be treated in a variety of different ways. Craze lines. Craze lines are little cracks in the outer enamel. These are generally shallow and cause no pain. Fractured cusp. This type of break affects the pointed chewing surfaces of your tooth. Because they don’t touch the pulp within, they are also unlikely to cause pain. Cracked tooth. A cracked tooth will require early diagnosis to save the tooth because as more time passes the untreated tooth will get worse. 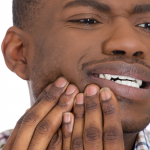 The crack impacts the whole tooth, from the chewing surface down to the nerve. Vertical root fracture. The cracks start in the root and extend into the chewing surface. Often this causes inflammation or infection. In most cases the tooth will be removed. Split tooth. A split tooth is what results from an untreated, long-term cracked tooth. In a split tooth, the tooth is separated into distinct segments. 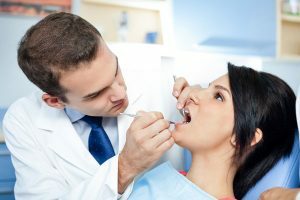 This blog is meant to help you become informed but does not replace the advice of a qualified dentist. If you suspect a chipped tooth, don’t wait. 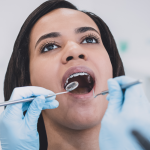 Only a dentist has the safe methods of ensuring the best outcome possible for your tooth. Talk to us at Penn Dental Medicine today calling 215-898-8965.